An idiophone is a musical instrument that creates a sound by its own substance, being stiff and elastic enough to vibrate without the use of strings or membranes. IdiophoneSS includes 23 idiophones such as castanets or the triangle. You can play the castanets and the triangle for free. 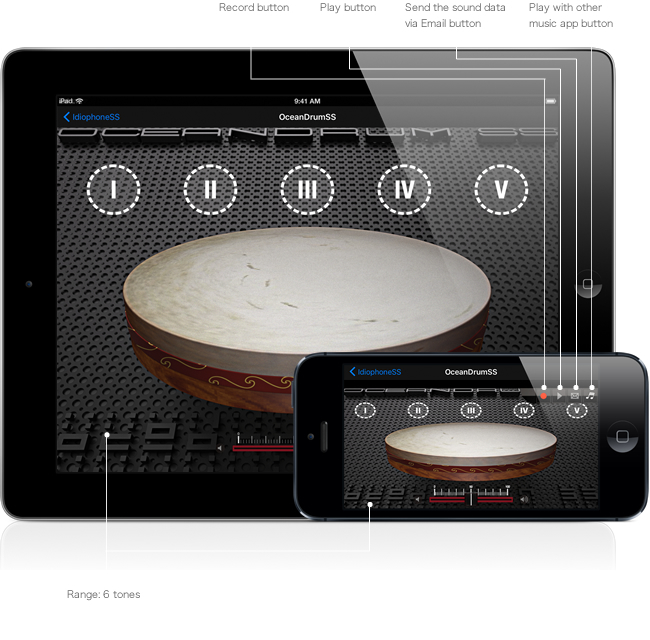 Other instruments can be added through in-app purchase.